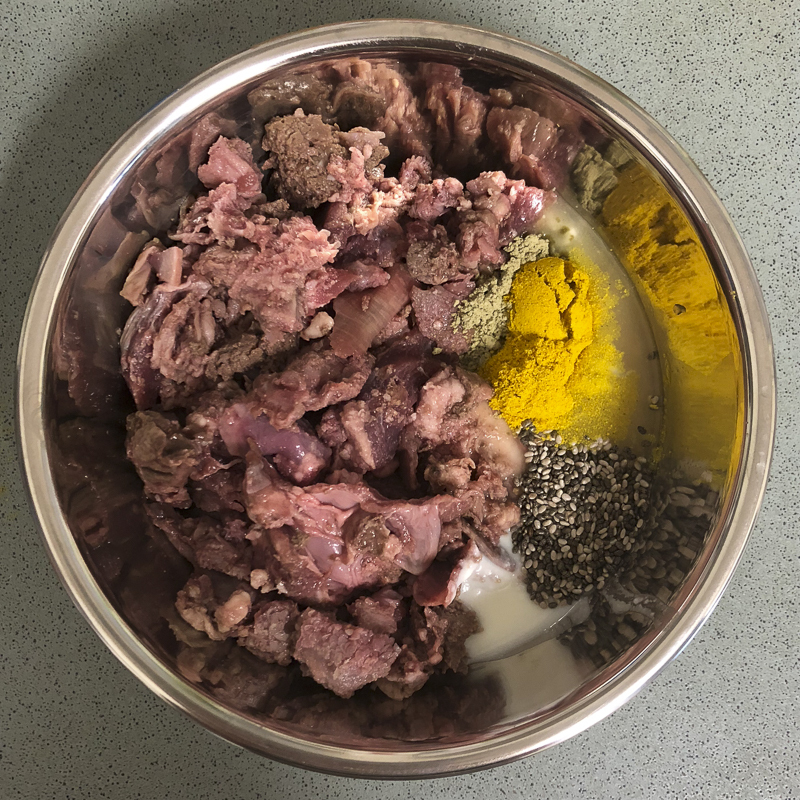 When considering raw feeding for pugs, not only do you need to know the basics and how much to feed but you need to know how to balance it correctly. An unbalanced diet can be harmful to your pug as they will miss out on the vital nutrients they need to survive! 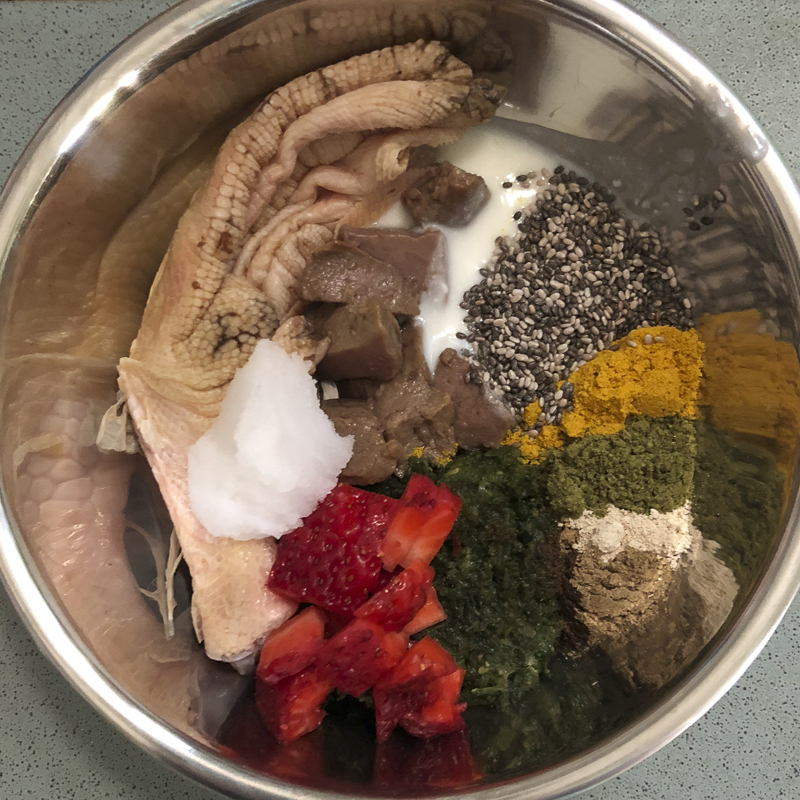 In the raw feeding for pugs: an introduction, you learnt about the differences between a prey model raw (PMR) diet and a BARF diet. It was in those differences that the guidelines for balancing can be found. To touch on that again, a balanced PMR diet is made up of 80% muscle meat, 10% edible bone, 5% liver and 5% other secreting organ. And a balanced BARF diet is made up of 70% muscle meat, 10% edible bone, 5% liver, 5% other secreting organ and 10% fruit & vegetables. 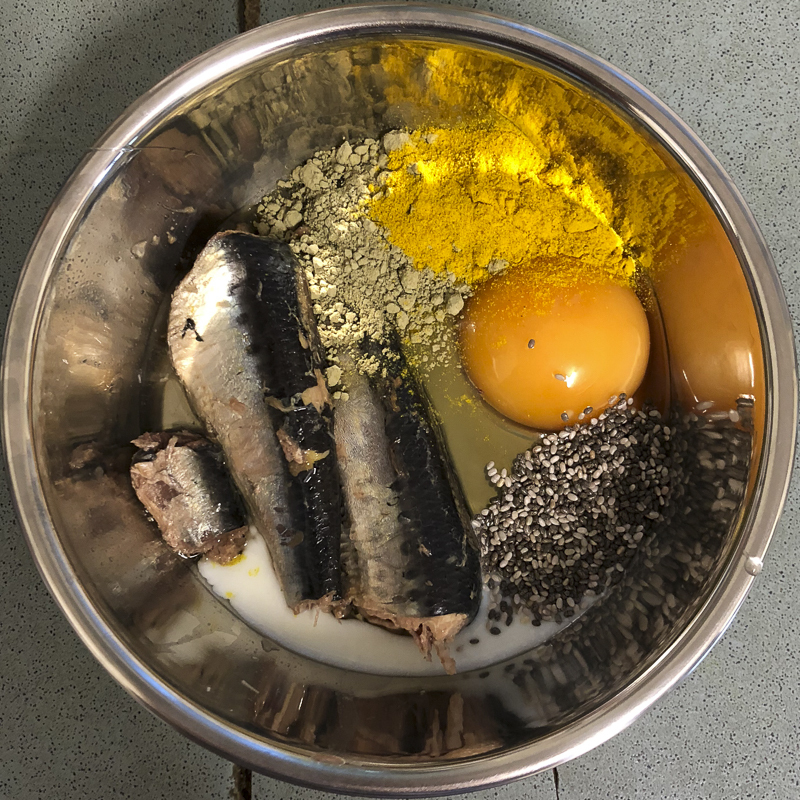 Now that you know how much to feed your pug, breaking that amount of food down into a balanced diet may seem hard but once you understand what it looks like, it becomes much easier. Using the raw feeding calculator will help take most of the work out of this for you. The great thing about balancing a raw diet is that it doesn’t have to be exactly balanced every day. You may prefer to balance over the course of a week, which is what most people tend to do. You may like to feed a heavy organ day which could be followed by a heavy bone day and then a bone and organ free day. The other thing to consider when balancing your pug’s raw diet is bone. Not all bones are equal. The bones that your pug can digest count towards their bone content. Large recreational bones where they pull the meat off and leisurely knaw on it doesn’t count to bone content. And then each bone has a different bone to meat ratio. 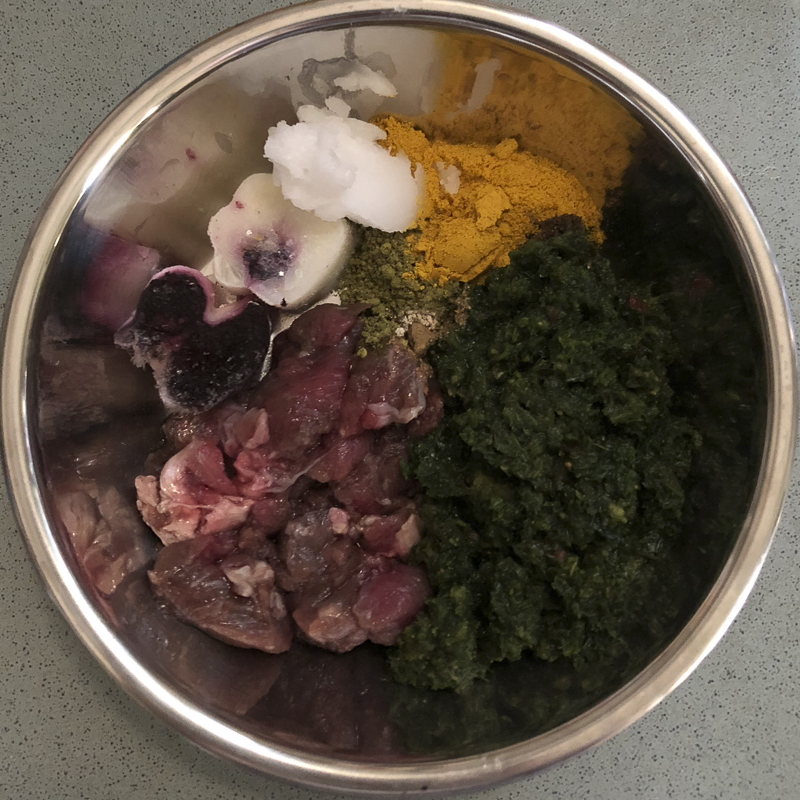 But more on that in the next raw feeding for pugs post. A 10kg pug who needs to lose 2kg should be fed for their ideal weight of 8kg. To lose weight, 2% of their ideal weight is what they should eat each day. That comes to 160g of food each day. 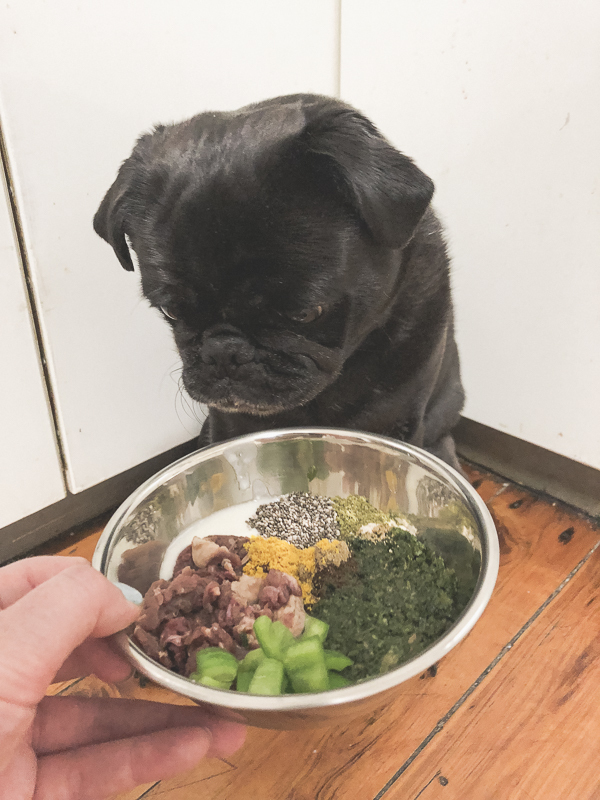 This pug is on the BARF diet which means this 160g should be broken down to 112g meat, 16g of bone, 8g of liver, 8g of other organ and 16g of fruit & vegetables. Over the course of a week, that totals to 1120g of food broken down to 784g of meat, 112g of bone, 56g of liver, 56g of other organ and 112g of fruit & vegetables. Here is an example of what balancing a meal over a day looks like. And an example* of what balancing over a week looks like. 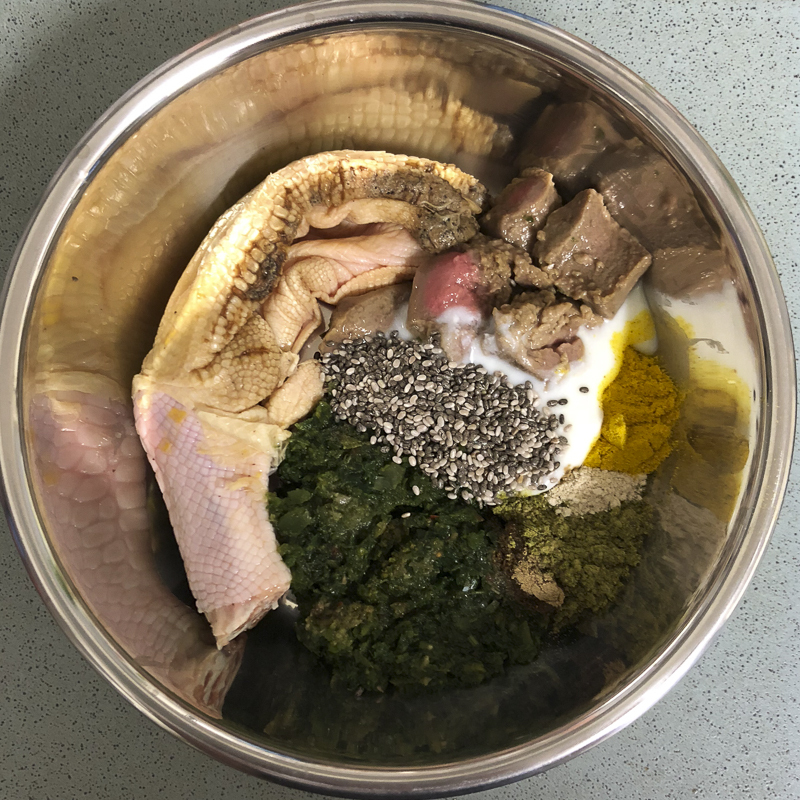 Both meals are balanced and will give your pug all of the vital nutrients they need to be healthy. Remember you don’t want your pug to just survive, you want them to thrive and a balanced raw diet will do this. *Please note: These are only example meals and should not be used as a meal plan. 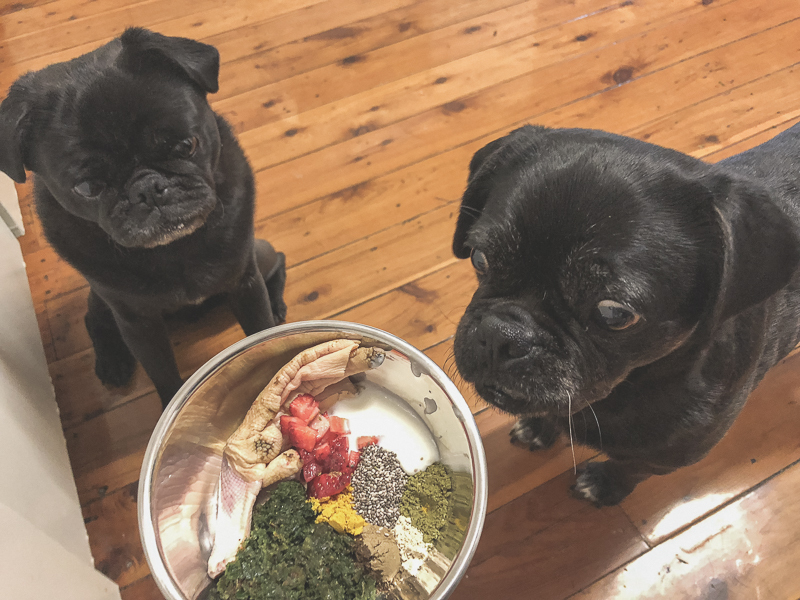 Every pug should have a raw diet tailored to them. It is not a one size fits all diet. Speak with a holistic vet or pet nutritionist to help you formulate the right diet for your pug. I believe that more and more people with join the raw feeding community as they discover the downsides to processed food and the benefits of feeding raw. I’m so nervous after feeding my 9yo male Pug Nutro Weight Control Dry Kibble his entire life and after seeing “Pet Fooled” on Netflix I really want to give him raw food instead. I know when I get to the grocery store I’ll have some idea what to get but not an entire recipe. Also he has allergies and I need something good for his skin. Does anyone have a good recipe for a 134pd Pug that’s 9yo? Please? This is so awesome I’m so excited to go raw !